Beyond our many events and student-led programming, we offer opportunities for more in-depth learning and training. We strive to build a community that intentionally commits to dismantle oppression, embrace our diverse perspectives and ensure an inclusive community for all on our campus. Do you have an idea for a custom training for your student organization, class or department? The Diversity and Inclusion staff are more than happy to work with you to create a special workshop that fits your particular needs and prior experience! 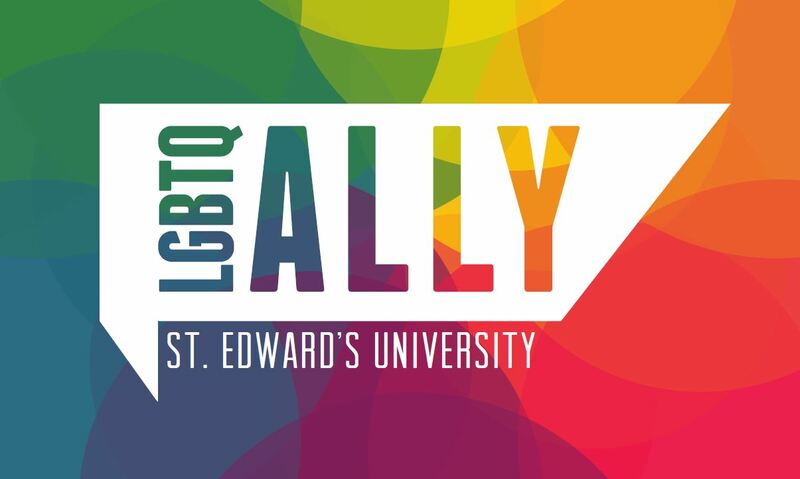 For more information about the Division of Student Affairs’ LGBTQ Ally Training program, please contact diversity [at] stedwards.edu. Our campus has several single-stall bathrooms located throughout campus. These gender neutral bathroom facilities can benefit everyone in our community! 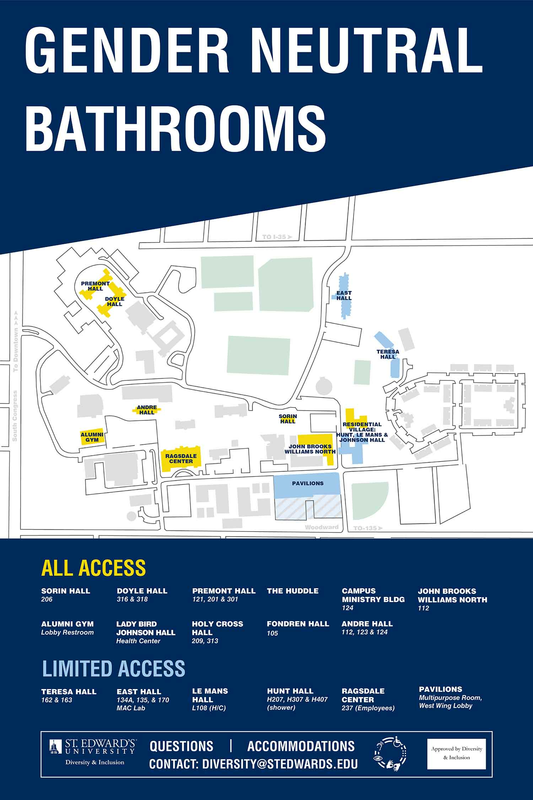 Whether you are looking for a safer restroom option, assisting someone else to use our facilities, escorting a minor, or simply want some privacy, this map can guide you toward our on-campus options. Have you witnessed or experienced an incident of bias or discrimination on campus? Diversity and Inclusion staff can help you navigate the process. To report an incident of bias, contact diversity [at] stedwards.edu.